Hi there! We are Stephanie and Shelby. Together we are Sugar High Score! 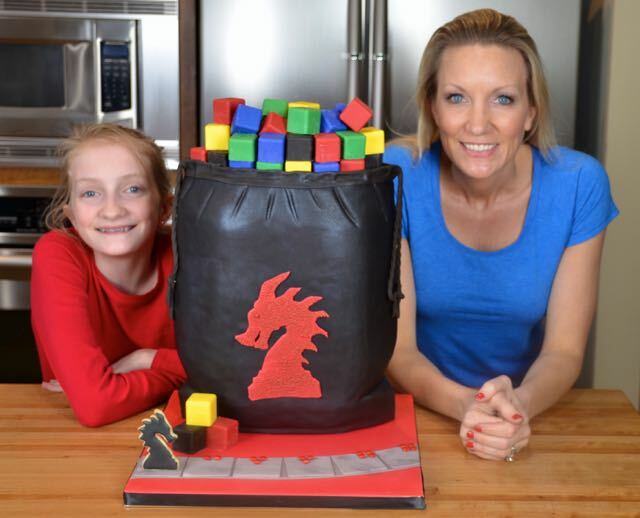 We have two addictions: GAMES and BAKING! We’ve created this blog to share our recipes, how-to videos and favorite games. Stephanie is a self–taught baker, turned professional baker, turned stay at home mom. 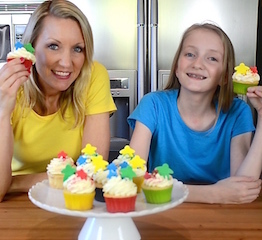 Shelby is an 11 year old who is learning and aspiring to be the next greatest baker. We hope you will join us in our sugary gaming adventures! My husband and kids, sushi, sprinkles, yoga, worn out jeans, wearing my husband’s too big sweatshirts, going wine tasting, Texas, orange LaCroix, boots, pug socks, chips and salsa, cupcakes, sunny days, my pug named Honeybun. And one more…. CAKE! Ice cream, hanging out with friends ,sushi, ballet, my dog named Honeybun, fuzzy socks, performing in the Nutcracker, gummy bears, getting pedicures, frappuccinos, summer break, cute animals like bunnies, stuffed animals and unicorns!! !